Luangwa River Camp sits nestled under an ancient ebony grove on the banks of the Luangwa River overlooking a game rich area which is known as the Luangwa Wafwa. 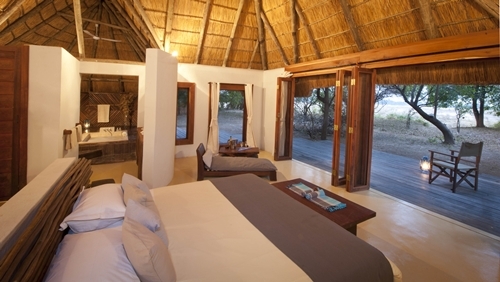 This is a small and intimate camp, and accommodation is in five bush suites. 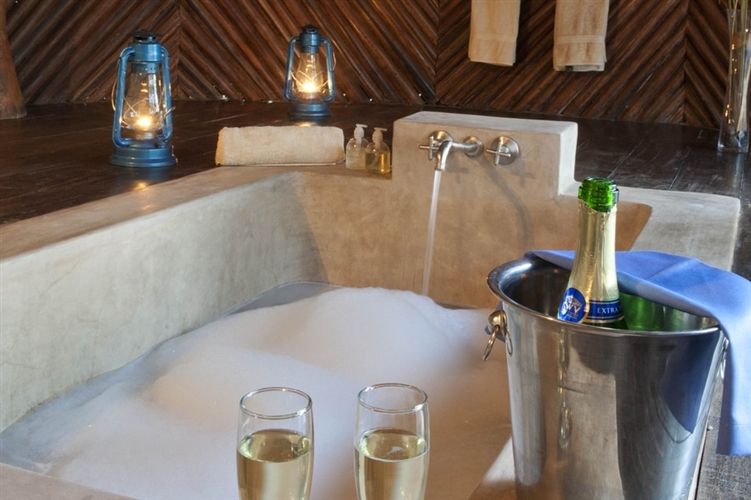 The subtly decorated bush suites with brick walls and thatch roof each have en suite bathrooms with sunken baths looking out onto your own private corner of the South Luangwa. 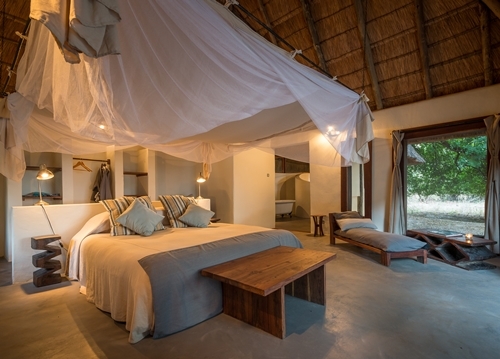 Both the bedroom and bathroom have large sliding doors leading onto a decked area allowing a lovely breeze into the room and great views onto the River. 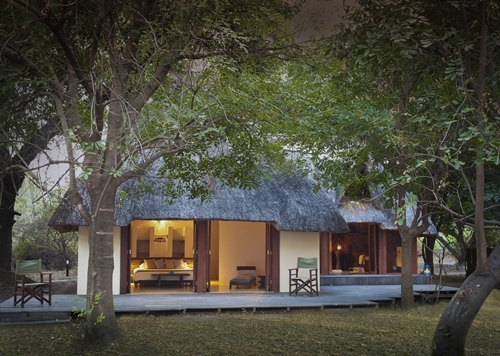 The main area at Luangwa River Camp stretches over various elevated decked levels – and includes a tempting double plunge pool with a waterfall linking the two. 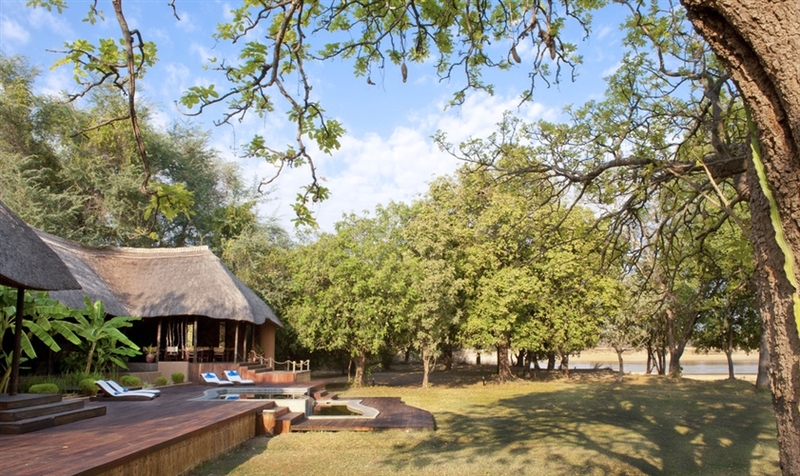 Seating areas around the pool or in the shade of the open plan bar on the highest level all offer uninterrupted views across the river and into the National Park. Luangwa River Camp is ideally situated opposite one of the most productive game areas of this part of the National Park with a unique access directly across the river either by boat or by vehicle, depending on the time of year. Activities are varied, and you have the choice of day or night game drives, in order to explore this game-rich area. 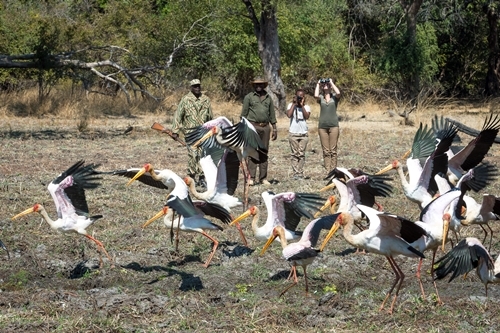 You should also participate in a fascinating game walk whilst at Luangwa River camp, as this is the best way to fully appreciate and enjoy the intricacies of the bush. Boating, on a seasonal basis (usually late December to April), is also available – and a wonderful way to explore the area, and enjoy the difference in terms of vegetation and bird-life, in particular. Many guests also enjoy a visit to Kawaza Village and the local schools, and allows for a more rounded visit to this beautiful area. 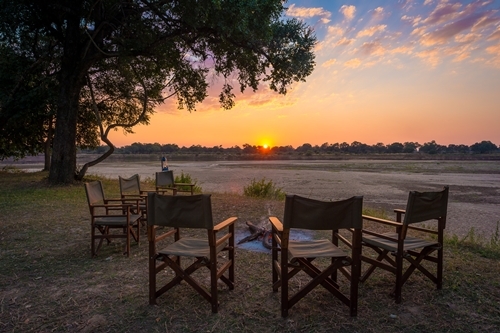 Alternatively take a stroll within the community around the Mfuwe area which is bustling – small “dukas” (shops), the market, bars, and people offering various skills. 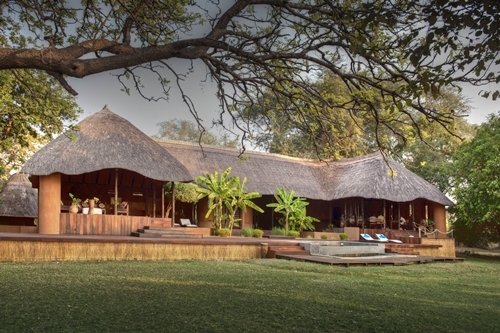 In addition, there is the Wildlife Education Centre, which is a trust for children in the valley, giving wildlife and conservation education. For unique locally produced hand-painted textiles, drawing inspiration from the stunning Zambian wildlife and surroundings, you can also enjoy a visit to Tribal Textiles.